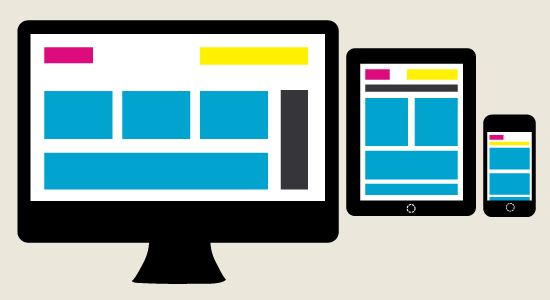 Home Blogging Everything About Responsive Websites & Parallax Websites: Choose Wisely! As you stand on the threshold of choosing the right web design approach for your website, it is very important for you to understand and analyse your requirement and make an informed decision as to what will work best – Responsive website or Parallax website. But what exactly do they offer? What are the pros and cons between the techniques, and what are the tools used in both techniques? Here in this article, we present a comprehensive analysis on the various aspects of Responsive websites and Parallax websites. Responsive Web Design is a revolutionary concept of a website design which should adapt to fit any device (mobile devices, desktops, etc.) that chooses to display it. This approach again comes in 3 different kinds – a flexible grid, flexible images and media queries. While it is impossible to proceed with this kind of approach sans grid system (used for example in magazines); you need to give the measurements in percent, not pixels so as to ensure that the layout is flexible. This calls for the need to insert every information or web element in such a way that you will still be able to see every piece of information even if you resize the browser width. Media queries on the other hand means that you have to envisage the way your layout is going to be, taking into consideration the platform you design for. 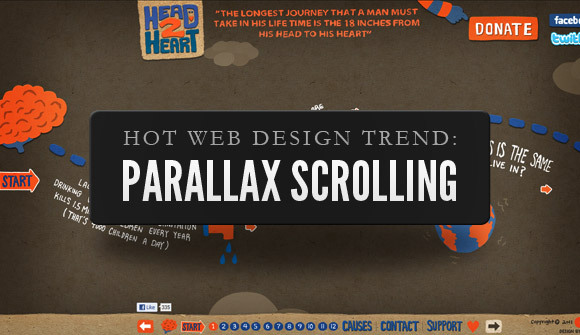 Parallax scrolling is a fairly innovative design concept gradually making its impact felt on the web design world. You can get introduced to this approach of web design as you scroll down a web page. You will notice several different elements of the site that are all moving at different speeds. From dots that appear slightly blurred in the far background to grouping of dots that appear more in focus and in the foreground that are moving slightly faster than the scrollbar. From background images moving at about the same speed as the text, to the foreground images moving faster than the text, Parallax scrolling is all about various layers of images stacked on top of each other, all moving at different speeds and providing a 2D visual with a 3D effect. 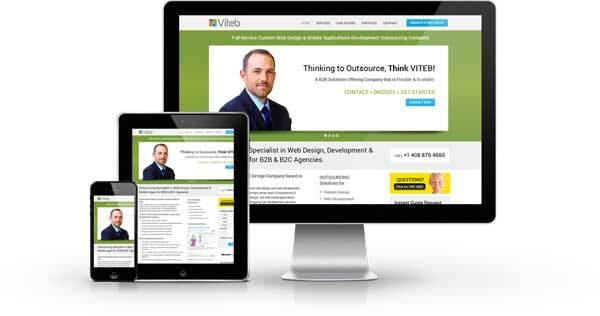 The main advantage of responsive website strategy is that they are less expensive to maintain since they require a single code base. So whenever you want to make any changes to a page, you just have to make it once – thus proving to be cost-effective way to manage time and resources. So, this proves to be the perfect choice for all those who want to operate using a single site with flexible design that can adapt to the device being used to access it. The looks of a parallax website is so stunning and captivating that it can multiply your page views and improve conversions as visitors will surely spend more time on your website, scrolling up and down to their heart’s content. Parallax website design are however, not SEO-friendly as your entire site is in one page. This makes you lose out on meta description and title tags, which are the most important factors to determine rankings. Moreover, it is also not a great idea to have multiple H1 headers on one page (contrary to one big H1 header per page with sub-heads to follow in a typical website). Also having too many images on one page can make your website slow to load to the extent of visitor leaving the website. Our endeavor in this article is merely to present the various aspects of Responsive and Parallax Web Design and to analyse the pros and cons of both the web design approaches. One of the striking revelations we derive from the comparative analysis is that parallax scrolling websites are difficult to design responsively to work on mobile devices. In case you wish to choose parallax design, you would have to go for a separate mobile site.